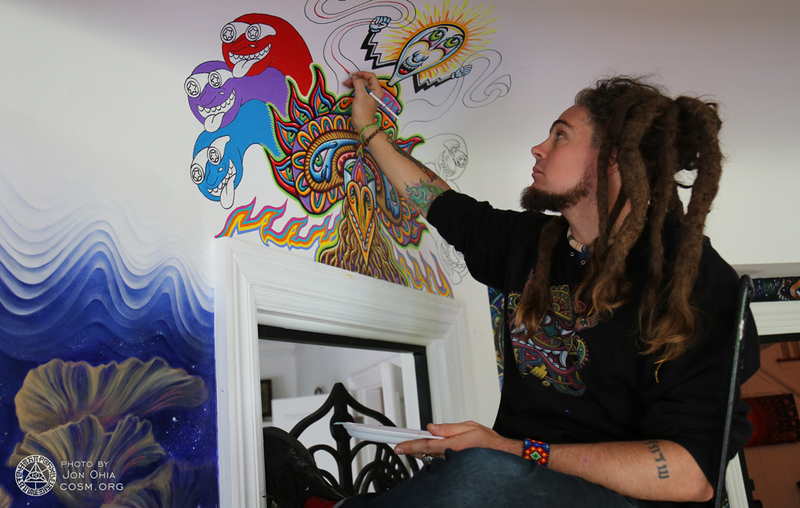 Visionary superstar, Chris Dyer, made a colorful appearance at CoSM! 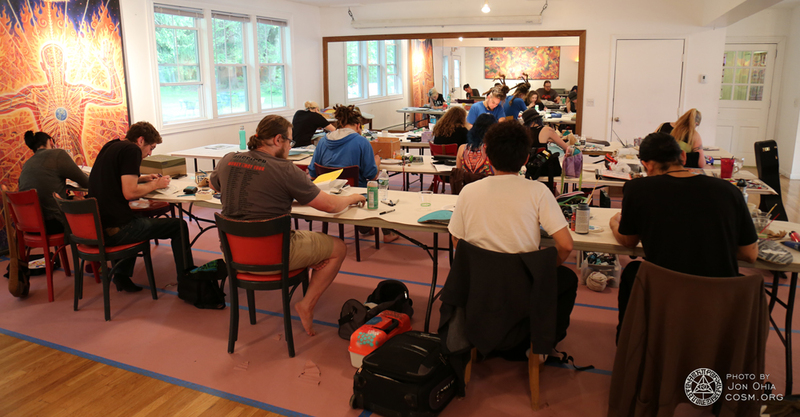 Part of MAGI faculty, Chris facilitated a weekend painting workshop for aspiring artists. Participants from all walks of life gathered together to exchange skills and ideas. Chris presented the history of skateboard art. He shared openly about his own creative process, expressing his philosophy on what it means to be a successful and mindful artist. 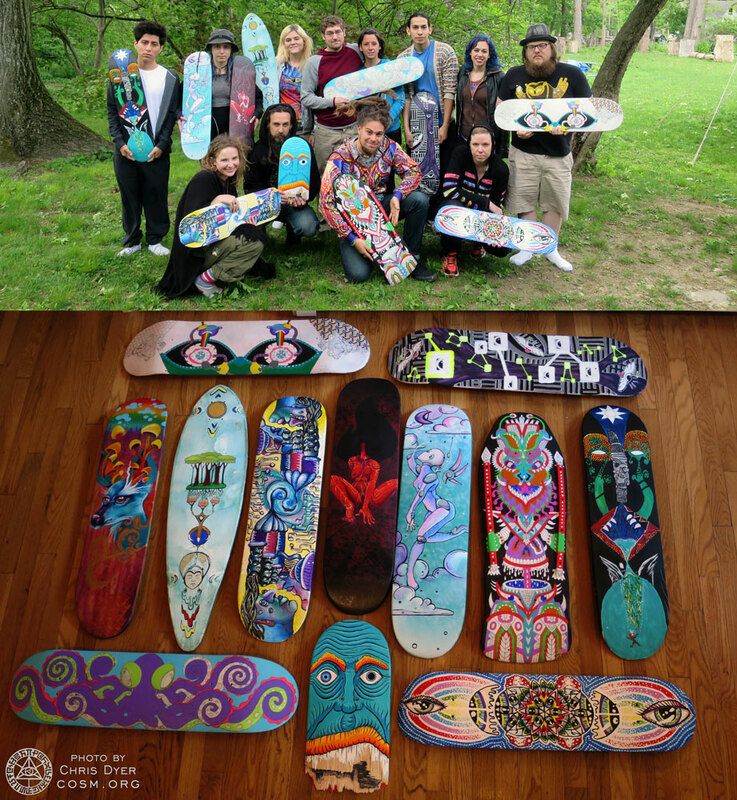 With Chris as the guide, participants created art using upcycled skateboards and materials as canvas. 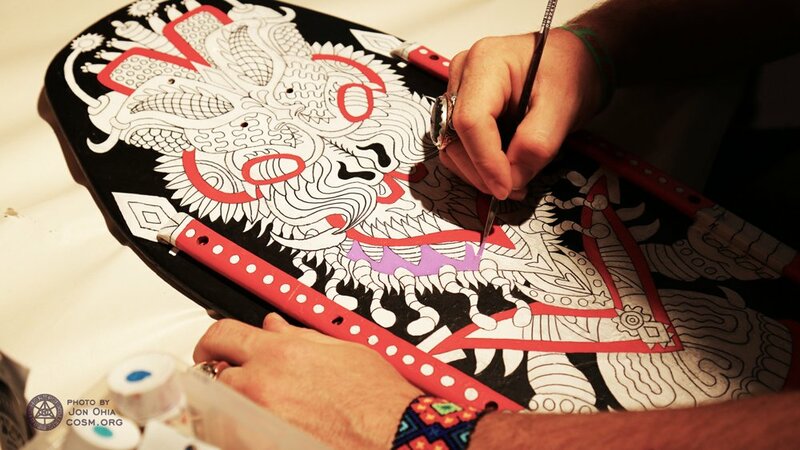 Fueled by inspiration, the painting sessions were timeless, as they jammed day and night. The group became like family by the end of the workshop, each walking away with new friends, and their own positive creation! The journey continued for some as Chris offered a bonus session that Monday on visionary graffiti. Demonstrating his world-class spray paint techniques, Chris generously devoted time to produce a new mural to electrify CoSM’s Wisdom Trail. Chris’ creative offerings continued after class, as he furthered work on his masterpiece in the Mushroom Cafe. Thank you Chris for once again gracing CoSM with your talent, wit and charm. Until next time, see his pieces in person during CoSM open hours, and stay tuned for future workshops! Participating artists working hard with Chris during their painting sessions. A mid-brushstroke shot of Chris’s skateboard during the Positive Creations workshop. 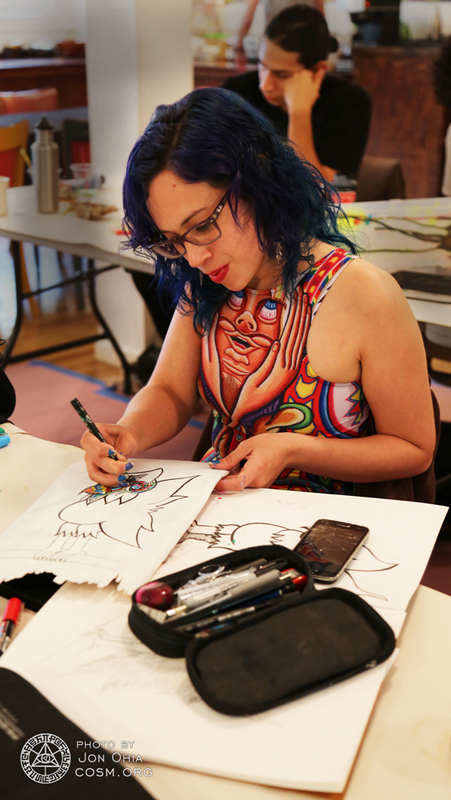 Sporting some Chris Dyer apparel, artist Alexandra Baggins gets deep into her drawing. 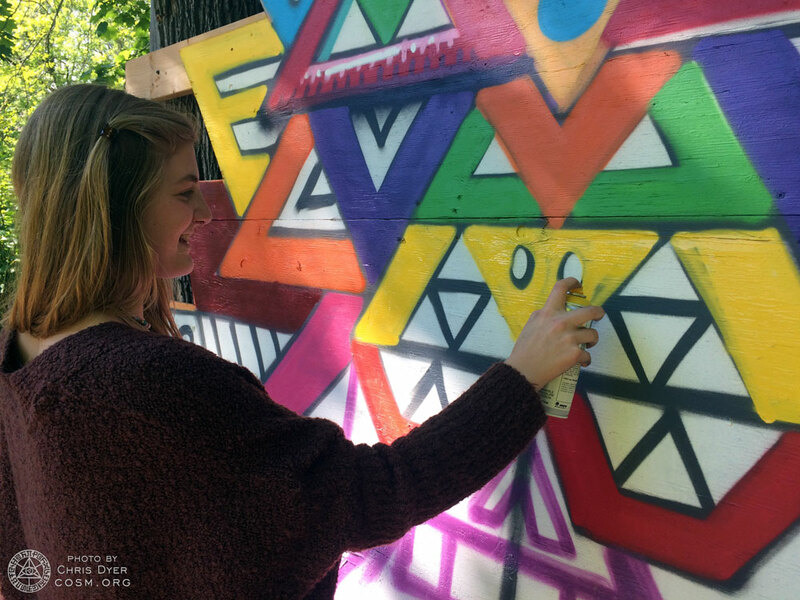 During the graffiti workshop, an artist adds her visionary touch to Chris’ mural. 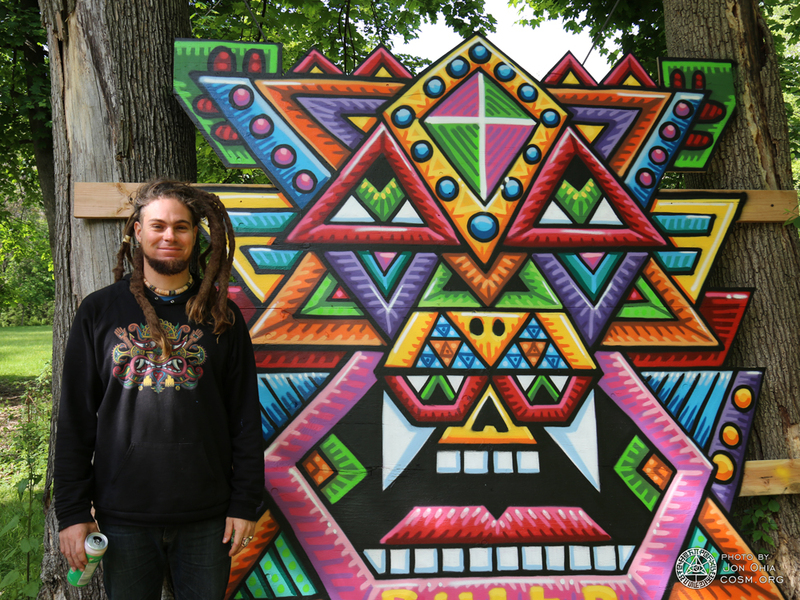 Chris Dyer standing next to his most recent mural on display at CoSM’s Wisdom Trail. Chris in the zone as he paints an addition to the Mushroom Cafe.